What Are The Top Blenders On The Market Today? » What Are The Top Blenders On The Market Today? The best rated blenders do a lot more than they used to. The top rated blenders that are featured here each do some or most of the things that a food processor, an ice cream maker, a coffee or nut grinder, or even a spiralizer will do. Some of these top blenders are also the best smoothie makers, the best blender food processors or even best blenders for soup! Ten blenders are reviewed here, three by Ninja, three by Vitamix, two (plus a bonus) by Blendtec and one each by Breville and Wolf Gourmet (a relatively new brand to the market). 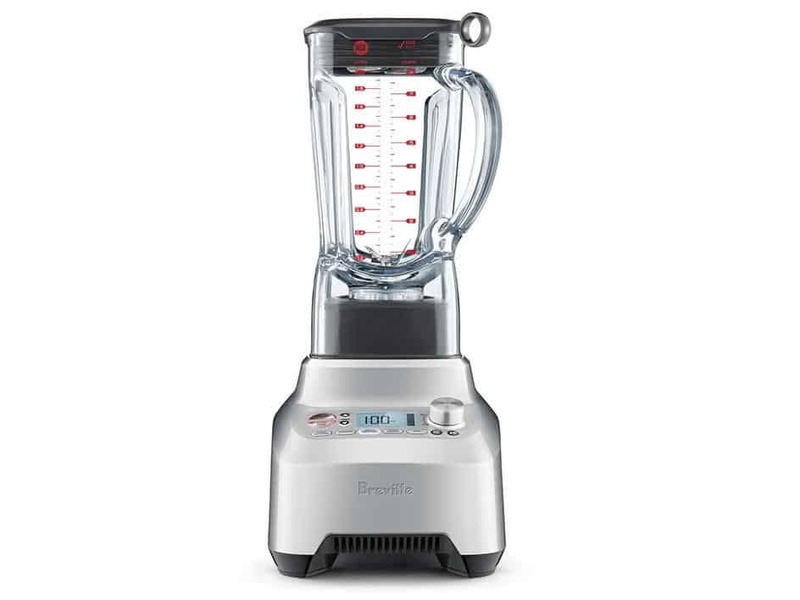 The blenders reviewed here are ordered roughly by price, starting with the lower priced models, and also grouped by brand. The first table below starts with the lower priced Ninja models, followed by the Blentecs and Brevile in the middle table and then Wolf Gourmet and Vitamix models in the last table. If you want to skip to any particular brand or a specific model, use the table of contents below. Otherwise just read through the review. What Else About The Ninja BL660 And Recommendations? What Else About The Ninja CT682SP & Recommendations? What Else About The Breville Boss & Recommendations? Recommendations For the Blendtec Total Blender? Which Blender Does Starbucks Use? What Else About The A3500 & Recommendations? The blenders reviewed here range in price from premium priced high-end blenders up to about $600 down to the low $100s or even less for some of the Ninja models. As is often the case with a lot of other products, you get what you pay for. Each blender here is highly performing and will definitely do the job you expect it to do. The difference in price, however, is really a function of how long each will last. For the most part, the lower priced blenders are not likely to last as long as most of the more expensive models. Durability then is the real difference between lower and higher priced blender models. It comes down to how long you want or expect to keep using your blender before you need to replace it. You can spend a lot less for something that probably won’t last very long. You can help yourself here by buying extended warranty protection, usually for as many years as the warranty options allow. Or, you can pay a lot more for a quality product that will last for a long time. Some of the blenders reviewed here have 10-year warranties! That’s about as long as a warranty gets for small appliances and are a pretty strong signal of the quality of the blender. Needless to say, you’re not going to need to buy an extended warranty for these more expensive blenders with long warranty periods and/or are built with high quality. Ninja is a part of SharkNinja Operating LLC group that was established in 1995. Originally established in Montreal, Canada, SharkNinja Operating LLC is now headquartered in Needham, Massachusetts. 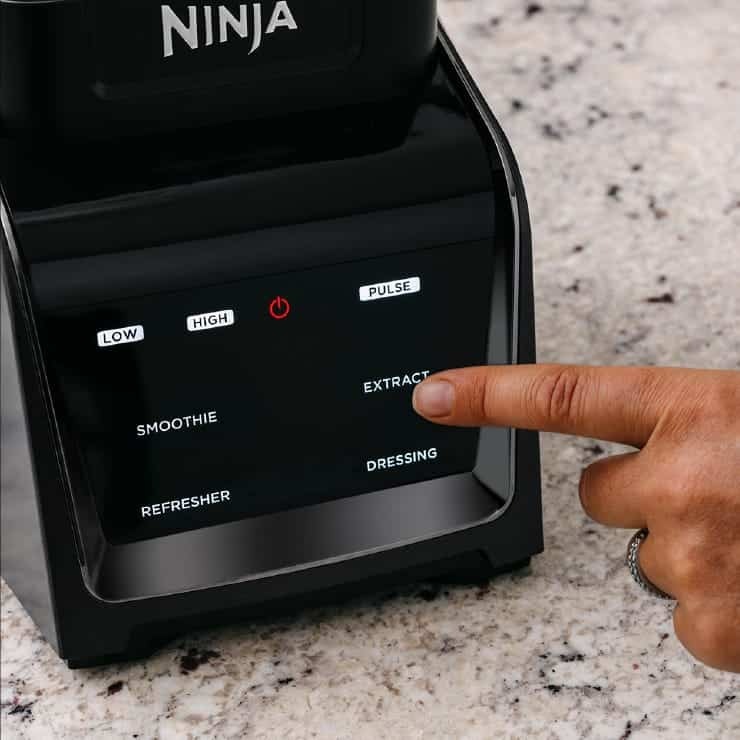 The Ninja part of SharkNinja has multiple products including all in one countertop cookers, coffee makers and Ninja food processors and blender systems. The Ninja blenders and food processors have been very innovative since they were introduced in 1995. Ninja made itself famous in infomercials, which helped it to build its brand into a worldwide phenomenon. Some of the Ninja blender systems reviewed here include food processor add-ons and even single serve Ninja cups that will allow you to do a lot in your kitchen at a relatively low price. With the attachments on some of the Ninja models, Ninja uses the blender motor bases for food processing and other functions. You can see more Ninja models reviewed here or just continue reading this review. 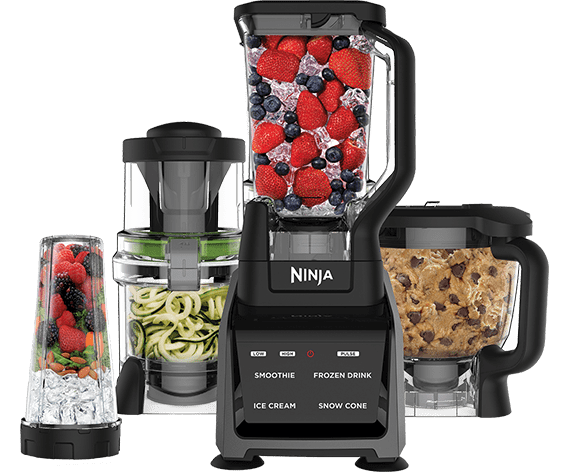 The Ninja BL660 Professional Blender with Nutri Ninja Cups is a blender with a 72 ounce pitcher that can actually hold 64 ounces of liquid, or about 8 cups. The difference is basically space taken up by the blender blades. This Ninja blender comes with powerful stainless steel blades that are specifically designed to crush ice and dice fruits and vegetables. The blades in the BL660 are configured much differently than in most blenders. Instead of a single set of blades located in the base of the blender, the BL660 has three sets of blades (two blades in each set). Ninja calls this the Stacked Blade system. The blades are built into the blade assembly and are positioned so that one set of blades is located about in the middle of the blender pitcher. Another set is located about half-way between the middle and bottom of the blender pitcher and the third set is located in the bottom of the pitcher. The Ninja Professional Blender is NOT designed to make soup or other hot foods, so look elsewhere if you want a blender that makes hot soup. It will, however, blend the soup ingredients. It is not designed to act as a juice extractor either, it will mince and chop vegetables into small pieces but is not designed to be a juicer. This Ninja Professional Blender also includes two single serve cups that are designed to blend and take with you on the go. Each cup has is designed to use a specifically designed blender blade attachment that screws into the rim of either cup. You then flip the cup over and attach it to the blender base. Each cup holds up to 16 ounces, or two cups, of liquid and each have their own lids. This 1,100 watt, 2 peak horse-power motor is powerful enough to pulverize seeds, nuts and ice for smoothies, nut butters and for grinding seeds. The pitcher and single serving cups are dishwasher safe and BPA free. Like most of the blenders reviewed here, the pitcher is dishwasher safe plastic, not glass. The Ninja BL660 does have a unique pitcher lid design that locks down the lid and also contains a spout for easy pouring. The Ninja BL660 blender functions are the simplest of all of the blenders reviewed here. There are only three power settings to choose from (1, 2 and 3). There’s also a Pulse mode and a Single Serve button. The three power settings are on the motor base with buttons, 1, 2 and 3 in the middle of the display area. The Pulse button is located on the right side of the display area. Power Button 1 – Use this setting for processing and mixing sauces, drinks, gravy, puree cooked foods, fruits and vegetables. Power Button 2 – This setting is designed to blend mixed drinks or milkshakes, grate hard cheeses, grind nuts and blend sauces. Power Button 3 – This power setting is designed to create “snow” out of ice by crushing ice cubes, makes slushies and other frozen drinks, and blend whole fruits, vegetables or other more dense foods. Pulse – Use this setting for quick burst of chopping or processing. You can use it repeatedly in rapid succession. Single Serve – This button is to be used with the single serve cups. It is the large rectangular shaped button on the motor base display area that sits above the 1, 2 and 3 buttons. This Ninja Professional Blender is a great option for you if you don’t need all of the options provided by a typical food processor, but need the grinding power provided to crush ice and is an excellent smoothie maker. Reviewers love the power of this blender for the price. It’s the least expensive blender reviewed here and will do a lot. Some reviewers think it can be too loud, but we think that the blending noise is typical of high powered blenders like the BL660. Others reviewers have noted that thicker, leafy based drinks are tough to process with this blender. Overall, we have included this blender on our top ten list since it’s a great value with essential blender functions that work really well. Like other Ninja products reviewed here, the BL660 only has a 1-year warranty. You should definitely buy an extended warranty, We recommend getting the longest extended warranty option that is offered (see below). There is a good chance that this blender will fail in a few years, and with a 1-year warranty you would otherwise also fall into a non-covered warranty period. The Ninja BL660 is designed for 110v power outlets, not 220v. You can see the latest pricing and warranty protection here at Amazon. 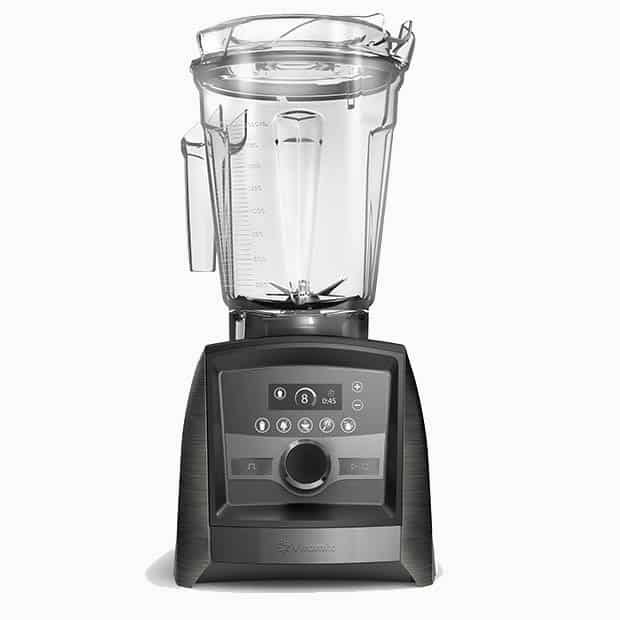 The CT805 is one of Ninja’s newest blenders. It is a big (18 inches high), powerful and loud blender that will give you a lot more range of functions than some of the older Ninja blender models. 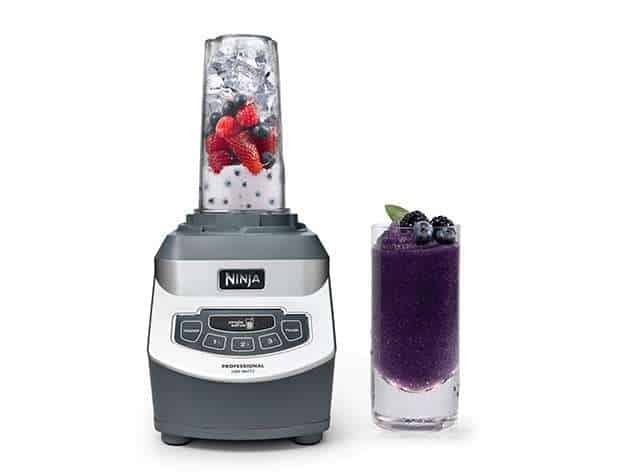 This all-in-one blender is designed to puree at a professional quality level through Ninja’s next generation of blender blades. These blades are designed to draw food and liquids down into the blades for more thorough blending. The blade design in the CT805 is a traditional base mounted four-blade set, compared to the non-traditional design in the Ninja BL660 above. The base mounted blades like those in this blender and in the rest of the top blenders reviewed here are designed to create a vortex for efficient blending in the center of the blender pitcher. 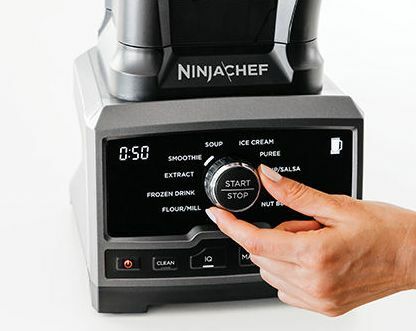 There are 10 different Auto-iQ® modes with the Ninja Chef that will allow you to make everything from nut butter, hot soup, ice cream, purees, smoothies, mixed drinks and even mill flour. The CT805 motor base is 1,500 watts and can spin up to 18,000 revolutions per minute. Ice Cream – Use this function to optimize the blending of frozen ingredients, like frozen strawberries, milk cubes or cream, to make ice cream or sorbets with other ingredients. Soup – This function is designed to blend your already hot soup to a creamier finish. It doesn’t create hot soup from a cold or room temperature set of liquids or other ingredients. Note that only the pitcher is designed for blending hot soup, not the other vessels. Nut Butter – With this function, choose your favorite nuts, combine with coconut oil or canola oil with some salt and add it to the pitcher. The Nut Butter function will then create a nut butter of whatever nut you’re chosen. Flour/Mill – With this mode, you may start with a multitude of different grains, and just start the blender for the mill function to make a flour out of the grain. You may also create almond, cashews or coconut flour by briefly Pulsing first. Extract – This mode is the Ninja CT805’s juicing and pulverizer function, designed to break down leafy, fibrous fruits and vegetables into juice, and seeds into a powder. Note that this blender is not designed to ground coffee beans. Dressing – This mode allows you to create a full combination of dressings by adding your oil through the top of the blender while it’s operating to blend the rest of the ingredients. Puree – Great for dips, spreads and other foods with a similar texture, Puree blends these relatively thick ingredients together into a smooth dip or spread. Frozen Drink – This mode will crush ice into a frozen drink of your choice, whether it includes alcohol or not! Smoothie – Use this mode to create frothy smoothies with a mix of fruit, ice, other flavor ingredients and your favorite juice. Dip/Salsa – You can create thick, creamy dips and salsas with this mode. Use it to with Manual mode to control how finely many ingredients like onion or tomatoes are blended in salsas, for example. In addition to each of these modes, you may use Manual blending controls with the variable speed knob to blend anywhere from 7,000 to 18,000 revolutions per minute. Use the Timer+ button to extend blending time in ten seconds increments. Or, the Pulse button for blending only as long as you press the button and at whatever blender speed you’ve selected on the variable speed knob. The knob also includes a Start/Stop button to manually start or stop the blender at any time. Use the Clean button with some warm water (filled to the line indicated on the pitcher) and a few drops of liquid soap to have the Ninja CT805 clean itself. 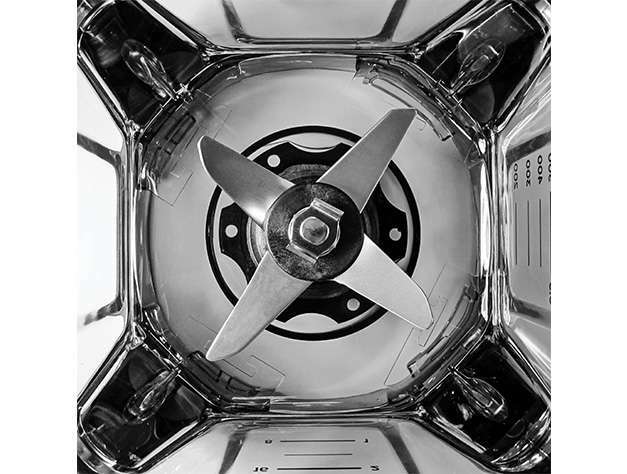 After selecting the Clean button, just press the Start/Stop button in the center of the variable speed knob and the blender will start the cleaning cycle. The blender will automatically stop after the cleaning cycle has run through. 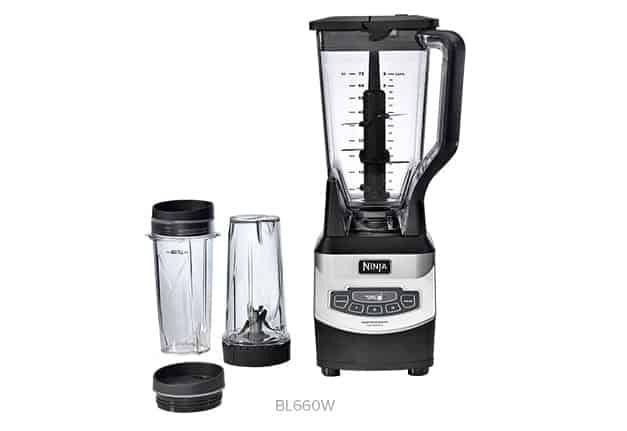 This 1,500 watt motor base includes a 72 ounce pitcher that can hold about 64 ounces of liquid and a tamper to push hard to grind ingredients into the blender blades. The Ninja Chef includes some interesting design features. These include clamps to lock down the blender lid, suction cups on the blender base to better anchor the blender, a timer that illustrates how much time is left in the blender cycle and automatic cleaning function. The blender jar is not glass, but BPA-free Tritan™ plastic. Tritan™ plastic, developed by Eastman Chemical Company, is designed to look like glass and retain its luster after multiple dishwasher cycles. It is doesn’t have BPS (bisphenol S) or any other bisphenols. It won’t warp and is otherwise durable. Reviewers really love the CT805 for its power and useful Auto-iQ® modes, including the powerful flour milling mode if you want to make your own flour and for making great smoothies. Some have also said that the CT805 is really loud to them. We recommend the Ninja CT805 among these top blender reviews for its wide range of useful functions, its power and fairly reasonable price. All of it comes with a 1-year limited warranty. We definitely recommend buying an extended warranty because 1 year is just not enough. Buy the longest extended warranty that you can find. Check the latest pricing and extended warranty options on Amazon here. The Ninja CT682SP Intelli-Sense Kitchen System with Auto-Spiralizer brings a lot the Ninja blender family and is one of it’s newest products. It is powered by a 1,200 watt motor base designed to intelligently sense the vessel or attachment that you place on it. This system includes four different vessels or attachments. Maybe the most interesting of these four attachments is the Auto-Spiralizer. The Auto-Spiralizer will spiralize vegetables or anything else that can be spiralized into it’s own separate container. Spiralized foods are often used to substitute lower carbohydrate vegetables for high carbohydrate pasta in recipes like lasagna. You can also just use it in salads. This is a great addition to the set of attachments included with Ninja products. Other attachments that are included in the Intelli-Sense Kitchen System include the blender pitcher, the food processor bowl and a single serve blender cup. The Intelli-Sense Kitchen System is designed to recognize which of the four attachments you install on the 1,200 watt motor base. The system will then provide modes applicable to the vessel or attachment that you have placed on the motor base. In total, the Intelli-Sense system provides 12 different touch screen functions on the motor base that will automatically adjust the motor speed, torque and duration for each mode. Use it to create everything from ice cream to pizza dough to smoothies or margaritas. These 12 modes include some found in earlier models like the Ninja CT805 Chef above, and some new modes. The 12 modes are based on which of three different system attachments are used. Each of the three attachments features 4 modes. The Blender Pitcher features the same lock system for the blender lid found on other Ninja models like the BL660 reviewed above. With the lid locked down, you can safely pour liquids from the spout without fear of spills. Smoothie – This mode is designed to crush ice and pulverize cold, frozen, or even fresh fruits and liquids to make smooth, thick “smoothies” or shakes. Frozen Drink – Use this mode with ice and whatever juice, or fruit into a finely blended ice-y beverage. You can also used this mode for mixed-drinks of all kind, like margaritas. Ice Cream – Create sorbet or ice cream from milk or cream, sugar and your favorite ingredients with this mode. You can even use this function to create healthier versions of ice cream or similar deserts because you are in control of what goes in the blender! Snow Cone – This mode is used to pulverize ice to make drinks like slushies, snow cones or granitas. Puree – Use this mode to create creamy sauces or hummus with traditional ingredients or whatever you might prefer. Chop – This mode is designed to pulse-blend, starting and stopping, to dice, chop and slice foods of all kinds as you might with a food processor. Dough – This mode will allow you to knead dough in the blender. Start with your favorite flour with other ingredients like salt, butter and water, then let the Precision Bowl do the hard work. Dips – This mode is designed to mix creamy dips with thicker textures like spinach or artichokes dips with cheese and other ingredients. Smoothie – This mode, with the blender cups, will allow you to create single serve smoothies from your favorite fruits and juices. Extract – With this mode, extract juice from various fibrous foods like whole vegetables and fruits and even seeds and stems. Refresher – This interesting mode will allow you to add a bit of fruit, vegetables and even herbs to water to create single serve infused water to take with you to the gym or just enjoy at home. Dressing – Use Dressing mode for creating marinades, sauces or dressings in the blender cup. The High-Speed Blender Cups are also a lot more convenient, at least when considering the clean-up, than using the blender pitcher. In addition, and when the food processor bowl is placed on the motor base and detected, there are two “spiralize” functions. The food processor bowl uses different circular shaped blades to cut vegetables or other foods from thin to thick. There are five different blades available and you want to make sure you check to make sure what is included in each box before your order. These five blades, starting from thinnest or finest cuts are: Angel Hair (Yellow Disc), Spaghetti (Red Disc), Fettuccini (Green Disc), Pappardelle (Orange Disc) and Ribbon (Blue Disc). These various options allow you to replicated almost any kind of pasta from vegetables like zucchini, carrots and other foods for a pasta like dish or just to use in spiralizing food that you can put in a salad, for instance. In addition to all of this stuff, the CT682SP includes a 35-page “Inspiration Guide” that will help you with recipe ideas for all of these blender attachments. Note that all of the vessels or accessories are made of BPA-free plastic, not glass. Also note, this Ninja system is not designed for hot soups or other hot liquids. You can use it to dice up the ingredients for soups, then you can transfer to another vessel for making hot soup. A lot of reviewers are really impressed with the Intelli-Sense system. Most are very happy with all of the functions and modes and feel that they perform to their expectations in each function. One concern, though, is that the vessel materials may not hold up over the long term with repeated cycles in the dishwasher, a least not without leaving a mark. 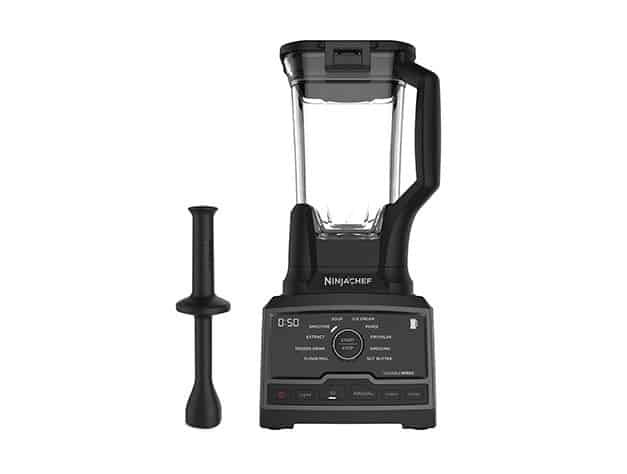 Our recommendation to include the Ninja CT682Sp among our top blenders (even our top blender food processors) is the range of functions for the price. For a pretty reasonable price, you’re getting a lot, even if it doesn’t last over the long term. So, if you’re looking for a lot of the functions you’d find in a food processor and a spiralizer, without having to buy either one and still use you have a great blender, then the Ninja CT682SP is an optimal choice. Just buy an extended warranty since the standard one is only 1-year. This warranty is too short for even the best made products. Buy the longest extended warranty that you can find. To see latest pricing, along with any discounts and also to see extended warranty options on Amazon, click here. Also, take a look at our detailed Vitamix vs Ninja review here. Breville is an Australian manufacturer of small appliances, including blenders headquartered in Sydney and part of the Breville Group. It is well known for its introduction of the original sandwich toaster in the 1970’s. The company dates all the way back to the 1930’s when it’s two founder combined each of their names to create the Breville name and brand. Breville has also been selling it’s products in the U.S.A. and Canada since the early 2000’s and is known for selling several different types of small appliances. Examples of these includes countertop ovens or toaster ovens, microwave ovens, juicers, and of course blenders. The Breville Boss is a very solid addition to the Breville catalog. It has multiple functions that will allow you to prepare frozen desserts, soups, smoothies, nut butters and milling flour, coffee and a lot of other foods. The BBL910XL is powered by a peak 2 horsepower motor and five one-touch automatic functions. It also includes a variable speed dial to manually adjust the blender power at any time. The power settings in manual mode vary with 12 speed settings. The Breville Boss also features a Tritan™ copolyester 68 ounce (2 liter) pitcher that is designed to be shatter and impact resistant and is BPA free. Interestingly, these speed settings are not numbered, but are descriptive, like those you might have seen on much older blenders. So, the lowest speed is Stir, followed by Mix, Chop, Blend, Puree and then the highest setting, Mill. Each of these settings have 2 settings, so in total, there are 12. The Breville Boss includes a ProKinetix Blade and Bowl system that pairs three stainless steel blender blades with the base of the blender jug for optimal chopping or cutting power. It is great for milling seeds or nuts into fine particles or ice cubes into “snow”. The Breville Boss also features an innovative design feature built into the jar lid. A finger ring is incorporated into one of the corners of the jar lid to make it easier for you to pull the lid off the top of the jar. Sometimes, blender suction creates a “vacuum effect” that makes it really hard to get the lid off, this design feature will help with that. Pulse/Ice Crush – This mode uses high power settings to crush ice and then turn itself off once it senses that the ice has been adequately crushed. Smoothie – Designed to add a lot of air during the blending cycle, this mode alternates between lower and higher speeds for grinding larger food items and creating a thick, smooth blend. Green Smoothie – This mode is designed to use high blender power to break down potentially fibrous or thick vegetables or fruits. Frozen Dessert – This mode should be used with the included Frozen Dessert Tamper to break down frozen foods and blend them together. Start with a very cold or frozen ingredient, like frozen strawberries, or ice and blend with other ingredients like cream, milk and honey or sugar to make desserts. Soup – A six minute cycle, this mode starts at a low blender speed to allow you to add soup ingredients and then increases to high speed before stirring a few times. The Soup cycle will heat up the liquid broth or liquid from your soup ingredients sufficiently over the six minutes that it runs to serve directly. The heat comes from the blades transferring their kinetic energy to the liquid. The Breville Boss also includes an Auto Clean button designed to clean the blender after each use. Add a few cups of soapy water and run the cycle. There is also a built in timer that you can use to set blender times when you are manually blending. The blender will also automatically go into sleep mode if it’s not used for 2 minutes. The blender will also stop after 2 minutes of continuous use in manual mode. The Breville Boss also includes built in motor overload protection through a thermal fuse in the motor base that can be reset. Also, the BBL910XL is 120 volts, NOT 220 volts. It also stacks up to just over 18 inches in height. Included with the Breville Boss is a frozen desert tamper and a scraper spatula. Reviewers love the Breville Boss but a few have had trouble with some ingredients getting jammed, which is why you’d want to use the scraper or tamper. The cleaning function works well as do all of the major functions and modes, each with enough power to outperform lower priced blenders. Many also prefer Breville over Vitamix, but many Vitamix customers feel the other way. We highly recommend the Breville Boss among these top blender reviews for its power, solid construction and middle-of-the road price. The Breville Boss has a 7-year standard warranty, which is great, you don’t need to buy an extended warranty. To look at the Breville Boss with any discounts and current pricing along with any discounts on Amazon, click here. Blendtec was founded in Orem, Utah in the mid-1970’s, Blendtec is known for building powerful blender motors. It’s most famous marketing effort is the “Will It Blend” series of informercials and You Tube videos featuring founder Tom Dickson blending all kinds of unlikely things. Blendec has a unique blender pitcher design in some models, the “WildSide”, a small fifth side incorporated into the pitcher just below the handle. 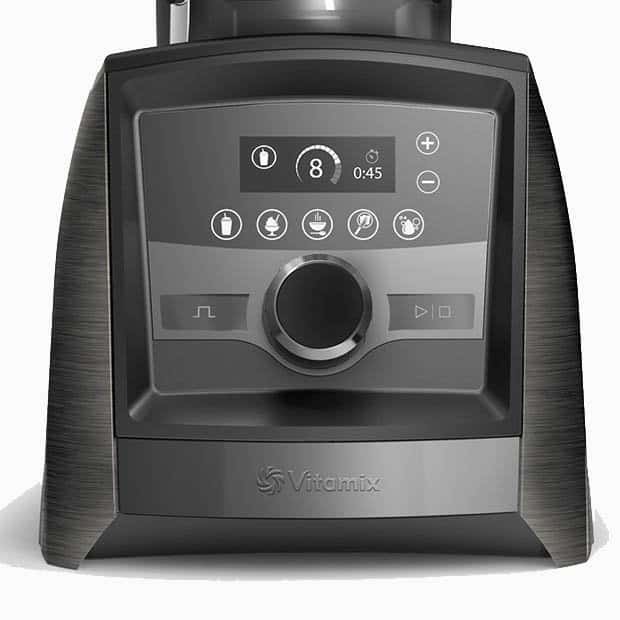 Blendtec claims that the WildSide pitcher helps to break down foods better by changing the center of the blenders’ vortex. All of the Blendtec blenders reviewed here recommend purchase options that include the WildSide pitcher. This pitcher can also be purchased separately and is designed to work on any Blendtec blender. To see it on Amazon click here. Blendtec successfully defended this pitcher design against a patent infringement claim made against Vitamix. This innovative company has won several awards for innovative designs and has shown that it is capable of taking on almost anything in it’s blenders and among it’s competitors. The Blendtec Total Blender, WildSide Jar definitely incorporates many of the attributes that Blendtec is known for. It is the original model BUT it has been discontinued. You can still buy refurbished models (even some new models from third party sellers, take a look at the Amazon link below). For that reason, we do not count it as one of the top 10 blenders we review here, but do review it as an additional model as long as you realize it may be phased out at some point, even in refurbished models. The Total Blender’s 3 peak horsepower motor base is one of the highest powered motor base among those reviewed here. The wide mouth is a unique design that produces a wider, shorter blender pitcher that might fit better for those with low hanging cabinets. The pitcher itself is only 15 inches high. The square design also includes a fifth side, the “WildSide” in the back near the handle. This fifth side is a design feature, that adds this small additional side to better break up liquid as it circles around the jar. The Blendtec Total Blender includes 6 preset automatic modes to select and a manual mode with 10 different speed settings. The automatic modes are each designed for different blender functions. Ice Cream/Frozn Yogurt – This mode is designed for blending frozen foods, it starts off at slow blender speed for 15 seconds, then increases power for another 3 seconds before going to high power for another 27 seconds. Whole Juice – This 50 second cycle increase from low to high speed and is designed to break up thick vegetables and other foods used in most juice recipes. Soups, Syrups, Fondues – This is a 90 second cycle that starts slow but quickly moves to high speed for most of the cycle to generate heat for making hot soups, or syrup and even fondue. Sauces, Dips, Dressings, Batters – The shortest cycle, this 23 second mode alternates between lower and higher blender speeds and designed to blend liquid and dry ingredients together to create smooth sauces, dips, dressings and batters. Ice Crush/Milkshake – This is a 35 second cycle that starts at low speed, moves to medium and then back to slow speed. These speeds are considered optimal for crushing ice or blending milkshakes. Smoothie – This 40 second cycle starts at low speed and steadily moves to high speed designed to best blend the ingredient commonly found in smoothies. Manual mode uses the up and down arrow buttons on the blender’s motor base to increase or decrease blender speeds from the lowest setting, 1, to the highest, 10. You may also use the Pulse button in manual mode to power the blender for as long as you press the Pulse button and at whatever blender speed is selected. We’ve included this review of the Blendtec Total Blender since this model has become such a classic and has super-power to the blender industry. We only caution that it is no longer manufactured, so look at the warranty, but consider the very reasonable price of the refurbished models (see below). We agree with some of the reviewers who have commented that the Total Blender has a tendency to “walk” or move on your counter since it’s lighter than other blenders reviewed here (it’s only 7 pounds unloaded). It also has a lot of power, so when you combine that, it will likely move a bit on your counter. Just make sure you watch it while blending. 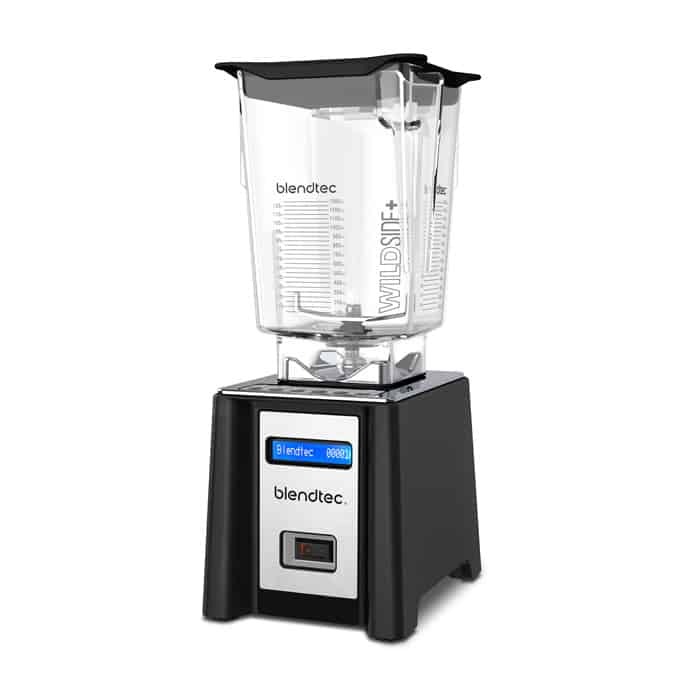 This warranty for the Blendec Total Blender (Refurbished) is 3 years. For this blender, you might want to purchase a 4 year warranty to get an additional year of coverage, but it may not be worth it since Blendtec is already covering you for 3 years. It’s your call and a case can be made either way. Look at the price you’re paying for the blender and the price of the warranty (see below). We’ve included the Total Blender in this review since it still holds up, even in commercial kitchens, because of its raw power. If you’d like to see one on Amazon click here with current pricing, and warranty options. The Designer series Blendtec models are meant to look better in your kitchen than Blendtec’s functional, but basic look of the original Total Blender. The Designer 625 is definitely a designer’s dream blender. It is sleek, with a unique interface on the motor base. The buttons or icons are minimal but include a lot of programmed functions. The motor base has rounded corners and a smooth finish that will look great in your kitchen. It even gives you 7 colors to choose from: Black, Chartreuse, Orchid, Polar White, Pomegranate, Seafoam and Slate Gray. See the Amazon link below to see how they will look in your kitchen. The Designer 625 also has a peak 3 horsepower motor just like the Blendtec Total Blender, so you’re not sacrificing power for a designed look. It also features Blendtec’s unique cycle count on the motor base, telling you how many cycles the blender has run in it’s life. The functions available for you to use are illustrated on the Designer 625’s motor base as icons in the middle of the motor base display area. There are four icons all in the same row. The first icon on the left is the Smoothie icon. Smoothie – When you use this function, the blender automatically run for 40 seconds, alternating between high and low speed to better break up and blend smoothie ingredients like frozen strawberries into a smooth drink. Here’s a few smoothie recipes to check out. Ice Cream – This button is next to the Smoothie icon on the blender base and has an ice cream cone icon. Use function to create ice cream, of course, but also sorbets and frozen yogurt. Once you press the Ice Cream icon, the blender will run for 45 seconds at different speeds to best blends ice and frozen foods together with other ingredients. This mode is designed not to run too long at high speed so that it won’t melt your frozen treat. Whole Juice – This function is the third icon from the left on the motor base and includes an image of a carrot and a leaf on the icon. Use this mode for extracting juice from dense vegetables like celery or carrots or for breaking down stems, skins or seeds (see these recipes). The Whole Juice cycles runs for 50 seconds after you press the button. You may need to repeat this cycle a few times to completely break down some of the denser foods or seeds that you might use. Hot Soup – This icon is on the far right side of the blender base interface and is illustrated by a cup with wavy lines of steam coming out of it. Yes, this mode will make hot soup, but also use it to make syrups, fondue and even hot chocolate. Once you press the Hot Soup icon, the blender will run for 90 seconds at high speed. This creates a lot of heat which is transferred to whatever ingredients you’ve placed in the blender. Because of this heat, don’t put anything into the blender hotter than 115 degrees Fahrenheit (46 degrees Celsius) before you start this cycle or it will create too much heat. Below the row of function icons in the bottom left area of the motor base display is the Pulse icon. This icon features a wavy line. Use this button to quickly chop, mince or whisk whatever you have in your blender. It automatically runs for as long as you press the Pulse icon. The Slider button on the bottom of the motor base display area, running almost the whole length of it and next to the Pulse icon allows you to manually control the blender speed from 1 to 6. Just slide your finger to the right to increase speed, in the direction of the “+” sign. To decrease speed, slide your finger to the left in the direction of the “-” sign. The “power on” button is located in the top right area of the motor base display and looks like a computer “on” button. The power off button is the button with the red “x” on the bottom left side of the motor base display. This Blendtec weighs just over 9 pounds, a few pounds heavier than the Total Blender. Those extra few pounds should help to keep the Designer 625 from moving around the countertop. It is also less than 16 inches high, a few inches less than some of the other blenders in this review. Reviewers really like the power and versatility of the Designer 625 and we recommend it for it’s power, mid-price and designer look. It also gives you the most color options of any other top blender rated here. Also note that the Blendtec Designer series blenders come with a standard 8-year warranty, so you do not need to purchase an extended warranty. To see latest pricing and any discounts on Amazon, click here. This professional grade blender features a 1,560 watt motor with the same 3 peak horsepower expected of Blendtec. The Professional series has an even more minimalist interface than the Designer series. The blender functions and manual operating buttons are located on the top of the motor base, next to the base of the blender pitcher. There are six pre-programmed functions to choose from. These functions are all in the same row, starting on the left with the Batters function. Batters – This function has an icon with a whisk and is on the far left side of the interface control area. Use this mode to batters, but also dips sauces and dressings. It operates automatically at low speed once you press the button. Mixed Drinks – This icon features a martini glass and is next to the Batters icon. Use this function to blend mixed drinks, milkshakes, and even iced coffee. It is designed to run automatically after you start this cycle. Smoothie – This function is marked by the icon with a cup and straw sticking out of the top, Use it to create smoothies or frozen fruits + juice. It is located on the motor base display immediately to the right of the Mixed Drinks icon. This mode is designed to alternate between low and high speed to better blend chunks of fruit and ice. Frozen Treats – This icon has an ice cream cone on it and is immediately left of the Smoothie function on the display. Use this mode to make ice cream, sorbet or frozen yogurt by mixing frozen milk, ice cubes or frozen cream in the form of cubes from your ice cube tray with your favorite ingredients. Frozen Treats mode is designed to keep your frozen ingredients cold by operating at lower speed. Whole Juice – This function is designed to extract juice from thick, dense food like carrots or celery and also to finely grind seeds. The icon for this function features a carrot with a leaf and the icon is located to the right of the Frozen Treats icon. Use this mode for blending whole fruits or other foods with juice or other liquids. This mode often requires that you repeat the Whole Juice cycle a few times to completely break down and blend certain foods. Hot Soup – The Hot Soup icon is located on the far right side of the function row on the display and is indicated by a cup with wavy lines of steam rising above it. This function uses high speed to generate a lot of heat. That heat is transferred to the liquid and anything else you may put in the blender pitcher to make hot soup. You can also use it for fondue, syrups or even to make hot chocolate. Keep any ingredients like broth or any other food or liquid that you want to use for your soup below 115 degrees Fahrenheit (43 degrees Celsius) when you use this function. Otherwise, the heat added by this function will be too high. Pulse – This wavy line icon located immediately above the Hot Soup icon on the display is for quick mincing, chopping or whipping. It will remain on only as long as you press the button. To manually control the Professional 750, just use the “+” or “-” buttons on the display surface. You may choose any speed from 1 to 10 with these buttons. The LCD display on the front of the motor base tells you how many cycles the Professional 750 has run over the life of the blender. The Professional 750 weighs 11 pounds, even more than the Designer 625 and is just over 16 inches high. Reviewers love the simple design of the Professional 750 and it’s power. We do too, which is why we include the Professional 750 among the current top blenders reviewed here. It is the most expensive Blendtec reviewed here and among the priciest in this review, but we think it’s worth it, especially with an 8-year warranty. 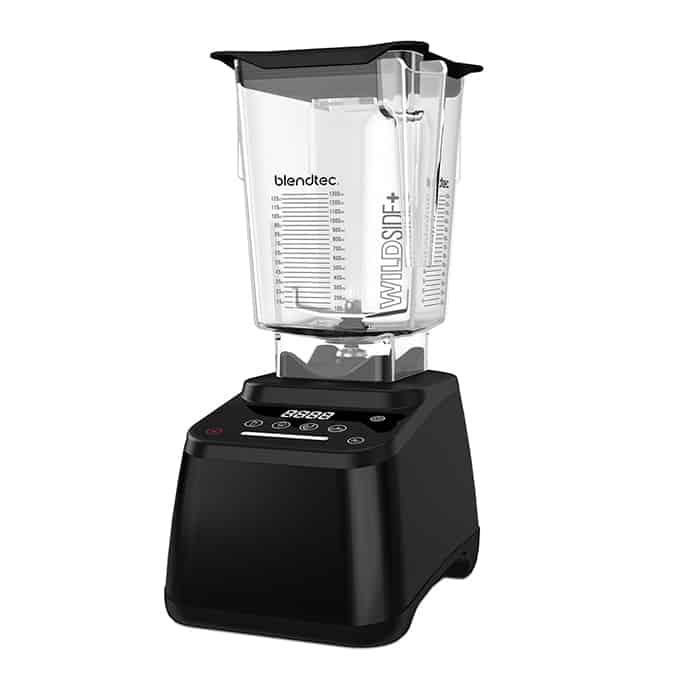 Since each Professional 750 blender includes a standard 8-year warranty, you don’t need an extended warranty. To the Blendtec Professional 750 on Amazon, with latest pricing and any discounts, click here. Wolf Gourmet is a brand of small appliances that was introduced by world famous Subzero-Wolf in 2015 and headquartered in Madison, Wisconsin. Wolf brings the same quality of construction to Wolf Gourmet that characterizes the build of its full-sized ovens, rangetops and ranges. Wolf ranges, for example, are designed to last for at least 20 years of continuous use. Its ranges are tested under simulated heavy use in its factories in Madison, Wisconsin to make sure that that quality is maintained. 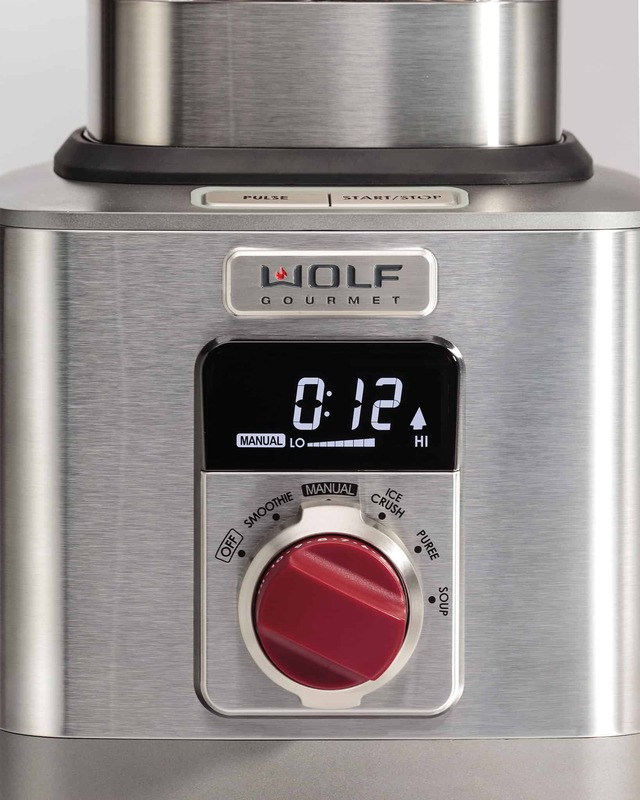 The small appliances that comprise the Wolf Gourmet product line are also designed to provide a similar quality level among small appliances. Among its small appliances, Wolf Gourmet has a high quality countertop oven, the Wolf Countertop Oven (see which is the best countertop convection oven here), a two and four slice toaster and the High-Performance Blender. The High-Performance Blender includes many modes that will allow you to grind grains, churn butter, make hot soup and make super silky smoothies. The stainless steel blender components are solid, just like Wolf ranges and ovens. The 64 ounce blender pitcher is a good size for most of your blender requirements and the blender motor features a pretty high powered, 1,545 watt, 2.4 peak horsepower motor, producing blender blade speeds of over 210 miles per hour. The Wolf Gourmet blender pitcher is made of Tritan™BPA-free, scratch resistant plastic, like all of the top rated blenders reviewed here. The blender lid also has a nice 2-piece cap in the center of the lid that acts as an emulsion cup with measurement marks for slowly adding ingredients while blending. The motor base in the Wolf Gourmet Blender is designed to be quiet, to keep the “power-tool” noise effect common to most other blenders out of your kitchen. The Wolf Gourmet Blender has four pre-set modes: Smoothie, Ice Crush, Purée, and Soup. Smoothie – This mode is designed for blending either fresh or frozen smoothies. This automatic function begins by pulsing five times to crush ice and chunks of fruit or vegetables, then ramp up to HI for 45 seconds. Ice Crush – This interesting program alternates between LO and MEDIUM in a succession of pulses for one minute to pulverize ice into dacqueri or slush size ice bits. Puree – This program has several interesting applications, each of which is designed to grind whatever you are grinding into a fine power or creamy liquid. It is designed, as you might expect, for purees, but also for grinding or milling flour, giving your sauces a creamy, rich texture and even making powdered sugar. The Puree program runs for one minute, start at LO speed and gradually increases to HI. Soup – The Soup program runs for 5 minutes and 45 seconds. It starts with cold or room temperature ingredients (up to 6 Cups) and then it purees and heats them over the course of the blending cycle to just below boiling. So, in less than 6 minutes, you’ve got hot soup from whatever raw ingredients you throw in! You can always just use the Wolf Blender in Manual Mode. You may then select your own blender speed preference by rotating the dial from LO, or 1, to 10, or HI. The Wolf Blender has built in overload protection, so you can’t overheat it even if you try. The motor will automatically shut itself off if it detects that the motor is getting too hot. If that happens, just unplug the blender to let it cool. Usually this takes about 15 minutes. There are three versions of the Wolf Gourmet Blender, each of which is just a difference in the color of the blender knobs. The WGBL100S has a Red knob that Wolf is famous for, the WGBL110S has a Black knob and the WGBL120S a Stainless Steel knob. The Wolf Gourmet High-Performance Blender comes with a tamper to push leafy foods or hard to submerge foods down into the blender blades. It also includes a set of blender recipes. Note that the High-Performance blender stacks up to 20.25 inches when measuring for cabinet clearance. It also weighs 15.9 pounds! This is the heaviest of all the top blenders reviewed here. Wolf Gourmet uses a lot of stainless steel, which is why it’s so solid, so it weighs more. Reviewers of the Wolf Gourmet Blender really like their High Performance Blenders. Some have even said they prefer the Wolf Gourmet over Vitamix blenders that they’ve owned for Wolf Gourmet’s more solid performance and quieter operation. We agree that Wolf Gourmet makes a solid product and are impressed with the Wolf Gourmet Blender’s performance in all modes. We also like that it is relatively quiet. It is definitely one of the top blenders on the market and among the top ten reviewed here. It is also among the most expensive reviewed here. With Wolf Gourmet, just like Wolf ovens, ranges and cooktops, you get what you pay for. There is a standard 5-year warranty with the Wolf Blender. Since there are no extended warranties with longer periods, you won’t need to buy an extended warranty. To see each of the three Wolf Blender models (red knob, black knob or stainless steel know), with latest pricing and any discounts on Amazon, click here. Vitamix was founded by William Grover Barnard in the 1920’s and has been based in Olmsted Township, Ohio and making blenders since the 1940’s. It’s current president is William Grover Barard’s great great granddaughter Jodi Berg. The Vitamix family has pioneered a lot of the blender functions that we take for granted today, like using blenders for kneading dough or making soup. It even made one of the first infomercials, featuring founder William Barnard in 1949. Vitamix added commercial blenders to its product line in 1985 and has since gained a devoted base of professional chefs like Michael Symon from Food Network’s Iron Chef America, who swear by Vitamix blenders. Little known is that Starbucks uses a Vitamix blender, the Vitamix – 36019 , “The Quiet One On-Counter Commercial Blender”. Starbucks had used a Blendtec blender for a long time before they switched to The Quiet One. It is a commercial blender with a 48 ounce pitcher designed to be extra quiet with a sound damping enclosure. It is also extra expensive as a result of all of the soundproofing. You can see it here on Amazon. Among its consumer blenders, Vitamix has three main product lines, each line targeted to different consumers and one lower cost single product line, the Explorian Series. The Explorian Series model is the E310. It is Vitamix’s lowest priced blender, with a medium sized 48 ounce pitcher and still contains a lot power in its base, with a 2 horse-power peak rating and “aircraft grade” stainless steel blades. 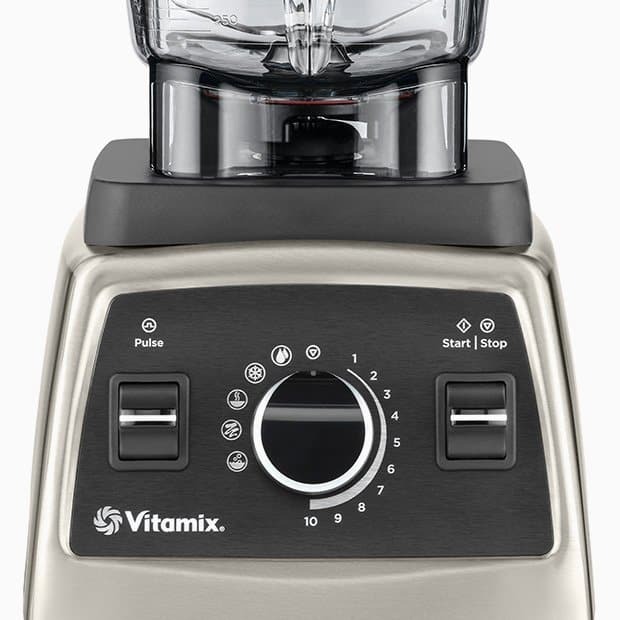 The E310 still provides all of the blending features in Vitamix’s other series. It is designed to mill flour and knead dough, to create nut butters and non-daily milk (like almond milk), make hot soup, do food prep, make ice cream, smoothies, juices, purees, batters and other stuff too. The Explorian E310 also has a self-cleaning feature that doesn’t require any dis-assembly. Just pour in some water and soap, and let it run in cleaning mode for up to one minute, and it’s done. The Explorian also includes a tamper for helping to get leafy or difficult to add foods down into the blender. There are 10 variable speeds in the E310 and a Pulse button for quick chops. The variable speeds from 1 to 10 give you a lot of flexibility in the power settings you use. The Pulse button will be powered at whatever speed is selected on the speed dial. The simplicity of the Explorian E310 controls rivals that of the Ninja BL660. Each Explorian E310 also comes with a cookbook. The standard warranty for the E310 is 5 years. You may also purchase another 3 year extended warranty. The Explorian E310 is the most affordable Vitamix, the trade off is a smaller, medium sized pitcher (48 ounces) and a shorter warranty period. On the plus side, the smaller pitcher will fit that much better under cabinets but the base is still as large as the other Vitamix blenders. You can also use larger sized Vitamix pitchers on the E310 motor base, so if you decide that you really need a larger pitcher you can always buy one later as a separate accessory. Reviewers like the simplicity of the controls and really strong juicing performance, in making hot soup and other more esoteric functions, in addition to the basic blender functions. They also generally like the medium sized jar for smaller kitchens. Other comments referenced how loud this blender can be on the higher power settings. 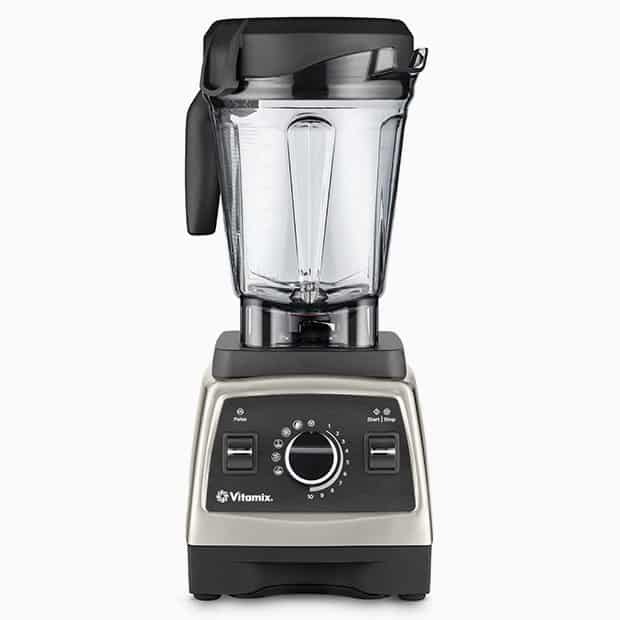 We recommend this Vitamix Explorian E310 among top rated blenders reviewed here because of the quality that Vitamix imparts into every model, including this one. It is also cheaper than Vitamix’s other blenders reviewed here, an entry level for Vitamix given its medium sized pitcher versus the large blender pitchers in the other Vitamix blenders. So, the Explorian E310 is a very high quality blender that is medium sized and medium priced for those most interested in a smaller, cheaper Vitamix. The 5 year warranty is still pretty good, just not as long as the longest 10 year warranties on other Vitamix blenders (see below). If you want to see it on Amazon, check it out here. The Vitamix 750 Heritage Collection is one of the Legacy Series standouts and a recent upgrade (2016) over the Professional 750. It’s quieter than the older model and includes a new Tritan™ blender pitcher and blade seal to prevent the blender blades from chipping and flaking over time (a complaint by some owners of older models). This 2.2 peak horsepower 1,320 watt motor, 64 ounce pitcher blender will do the full range of blending expected of Vitamix blenders. Use this blender for soups, purees, batters, nut butters, even grinds coffee beans, non-dairy milks, smoothies, juices, mixed drinks, mill flours, knead dough and even to make baby food, and other foods and drinks. You can even add fresh herbs to the mix to help you get your daily recommended dose, even in liquid form. The Professional Series 750 also includes the Vitamix self-cleaning feature. The 750 also has some of Vitamix’s most innovative design features. These include the 4 inch diameter stainless steel “aircraft-grade” blender blades. Also, a “thermal protection system” motor design, with a radial cooling fan, that will keep your motor base from over-heating. The lid of the blender pitcher is also designed to fit very securely with deep lid contact well into the blender pitcher so it won’t pop off during blending. The lid plug even has a 2-ounce measurement line for adding ingredients while blending, for instance, melted butter to make perfect Hollandaise Sauce for Eggs Benedict! The five modes on the motor base control panel can be selected by rotating the dial in the center of the panel. In addition to the manual power settings from 1 to 10, the symbols on the left side of the display dial may be selected. Smoothies – The icon for this mode is a picture of two liquid drops and is located just to the left of the center of the dial. Select this mode and the blender will run through a smoothie cycle that is designed to blend frozen fruits and other ingredients together with ice cubes into a smooth creamy drink. Or even a smoothie bowl! Frozen Deserts – A snowflake is the icon for this mode. Use this mode for making for making sorbets and ice cream by adding cold ingredients, cream, milk, ice, etc. and starting the cycle. You may want to use the tamper in this mode. To use the tamper, remove the clear plastic ring in the middle of the blender lid and insert the tamper during the blending cycle. The tamper will help you push the frozen items into the blender vortex. Make sure to use the tamper that matches the one designed for the Professional 750 blender pitcher. It should be long enough to reach just above the blender blades. Soups – This icon, just to the left of the snowflake icon, is indicated by a half circle topped by wavy lines to indicated heat. Use this mode with your favorite soup from soup ingredients and broth (see some recipes here). After you start the Soup cycle, the blender blades will spin fast enough to blend the ingredients and heat the liquid hot enough to serve immediately. Purees – This mode, indicated by the “zig-zag” icon just to the left of the Soups icon, will thoroughly blend dips, spreads, even baby food. Cleaning – The icon for this mode is a half circle with three bubbles rising above it. This icon is located on the far left side of the selector dial. To use this mode, add liquid soap, a few drops, to a half-full blender pitcher of warm water. Start the cycle and let it run, it will take approximately 1 minute. Included with the 750 is a tamper, designed to fit the 64 ounce pitcher and be just long enough to reach down until just above the blender blades. The tamper with definitely help you to get leafy foods or frozen strawberries, for example, down into the blender’s blending vortex. Vitamix blender lids are also very snugly fit into the blender pitcher when you put them on. Dramatic lid explosions aren’t going to happen. Reviewers are really impressed with their Vitamix Professional 750, especially with the new design improvements made to the recent (2016) Heritage edition (see link below), especially the quieter operation from the prior model. One small point made is that some had issues with really small batches of liquid and ingredients sitting below the blender blades and not getting blended, in that case you just have to double the batch! We agree. 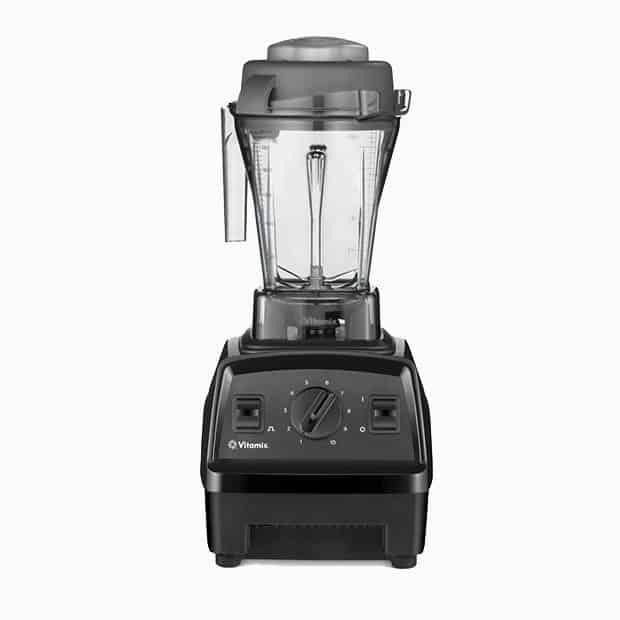 The Professional 750 Heritage is a top blender. It does some pretty nifty blending, including soups, cleans well and our only problem is making a small batch of Hollandaise sauce , for example. For that we use a mini food processor, since the liquid volume in the Vitamix pitcher is not enough to clear the blender blades, so it won’t really blend unless we make more sauce than we want to make. The Professional Series 750 includes a standard 7 year warranty, so no need to buy an extended warranty that is often much shorter. This warranty is less than the 10 year warranty that Vitamix provides in the Ascent Series, but still much longer than a lot of Vitamix’s competitors. It is also very long compared to warranties for other small appliances. To see the Professional Series 750 on Amazon now, click here. The new Ascent Series blender series is designed with new features like wireless connectivity and timers that will adjust blending cycles for different containers. These blenders may be controlled through digital display or manually with the exterior knobs, whichever your prefer. These blenders all have a standard 10 year warranty. The Vitamax A3500 is a great representative of the Ascent Series. It does all the same stuff that you expect from a Vitamix blender: soups, nut butters, coffee grinding, dough kneeding, purees, smoothies juices, ice cream, mixed drinks, but with a new interface and automatic system. This system will automatically detect the pitcher or other container that you place on the motor base. Settings made on the interface will then automatically adjust speed, torque and blending time for which Program you’ve selected. The motor base of the Ascent A3500 has a peak 2.2 horsepower, 1,500 watt motor, even more powerful than other Vitamix models. Smoothies – This icon is located on the far left side of the row of icons on the control display, indicated by a cup with a straw pointing out of the top. Use it to blend frozen fruits, juices and ice cubes together into a smooth cold drink. Frozen Desserts – A small dish with a fluffy shape and straw indicated this icon. Use this mode to blend cold or frozen milk, ice and other ingredients together into ice cream or other frozen treats. Use the tamper that is included with the A3500 to push tough to blend frozen chunks into the blender’s vortex. Soups – This mode is indicated by the half-circle above a spoon topped by three vertical lines. It is located in the center of the row of mode icons. This mode uses the heat generated by the spinning blender blades to make hot soup out of your favorite soup ingredients and broth. Dips and Spreads – Just to the left of the soup icon is the Dips and Spreads icon. It is indicated by a circle with a line pointing down to the left. Use this mode to puree ingredients to make dips, spreads, even baby food. Self-Cleaning -The icon for this mode is located on the far right side of the row of icons. It is indicated by bubbles rising above a drop of liquid. Fill the blender pitcher about half full with warm water, then add a few drops of liquid soap. Then start the cycle and let it run, it will take about 1 minute. In addition, you may use the Variable Speed Dial on the motor base to adjust the power of the blender speed, anywhere from 1 to 10. You may also use the Pulse button that is on the face of the motor base, to the left of the Variable Speed Dial for a burst of blending at whichever speed is selected on the Variable Speed Dial. The Vitamix A3500 also includes a built in timer. The timer works when you are manually blending with the Variable Speed Dial, not while using any of the 5 preset programs. Set the time with the integrated “+” or “-” and let the blender count down the time. You may also stop the blender at any time by pressing the “box” on the display. The “triangle” symbol will start the blender again. Additionally, the A3500 will go into Sleep Mode if it’s not used for 60 seconds. In Sleep Mode, the display will be dimmed and the control panel will show a spinning vortex. To “wake” the blender from Sleep Mode, just press any part of the control panel and the display will no longer be dimmed. Like all Vitamix blenders, the Vitamix A3500 is designed to prevent the blender base motor from overheating. The A3500 will automatically shut off if it detects that the motor is becoming too hot and remain off long enough for cooler temperatures to be restored to the motor base. The A3500 includes a tamper designed to be used in the pitcher to push difficult to fit foods into the blender blades. The tamper is designed to be long enough to reach to the area just above the blades in the pitcher, but not hit them. Ascent Series blenders, including the A3500, include a standard 10 year warranty, about as long as it gets in small appliances and certainly longer than most other blenders. You definitely will not need to buy an extended warranty with the A3500. The Vitamix A3500 is one the newest and one of the most innovative blenders on the market. It’s integrated wireless technology is designed to allow for future upgrades as innovations to the Ascent Series are made by Vitamix. That’s good to know given Vitamix’s history of innovation going back to the late 1940’s until today. It’s safe to say that Vitamix will continually improve it’s blenders and its good to know that, with the A3500, you can make an investment in a blender that has the ability to be upgraded over time. This blender already does all of the things you expect a Vitamix to do, but does so with even more control, including timed control through a gorgeous, easy to use interface. The A3500 weighs a solid 14.9 pounds and stands 17 inches high. Among the heaviest blenders reviewed here, weight doesn’t always mean quality, but in this case it does. Reviewers really like the Ascent A3500. 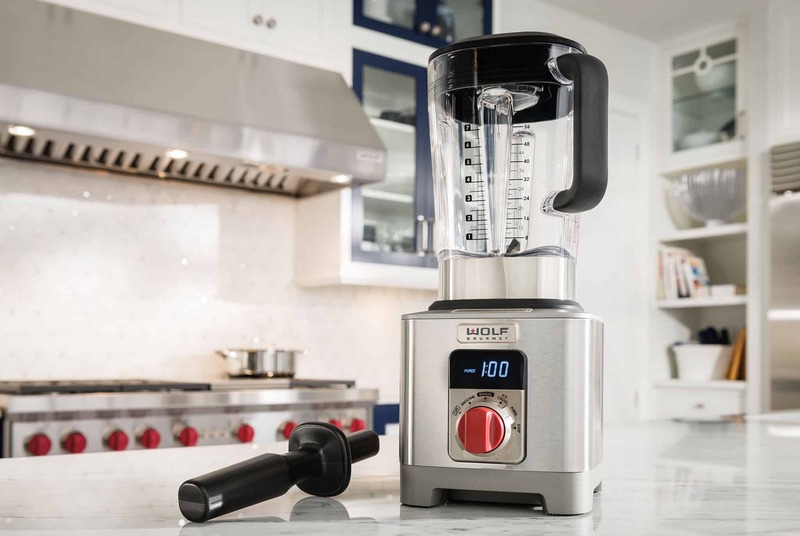 They notice even more power than other Vitamix models but the same solid blending performance in all modes and a simple, sleek interface with countdown timer. We agree, the Ascent 3500 is a very well designed and modernized addition to the Vitamix product line and its 10-year standard warranty is well beyond the standard warranties of most of the other top blenders reviewed here, you definitely won’t need an extended warranty. To see the A3500 on Amazon with latest prices and any discounts, click here. We hope you’ve enjoyed this article and that it helped you decide which blender works best for you. If you’d like to see other appliance reviews, here is a review of multiple multi-cup Bunn coffee makers, (hint: they brew super fast), a review of Cuisinart ice cream makers and another review of the best countertop ovens. We have also reviewed several Ninja full sized recipes here and also three Nutri Ninja Pro models here. Finally, we compare a Ninja with a Vitamix here.